Price Reduced! Motivated sellers ~ All offers considered. Decorating allowance with strong offers. Spectacular 3 bed and 2 bath treasure on spacious lot w/ a 2 car attached garage and a large detached 1 car work shop that could be converted into a separate apartment. 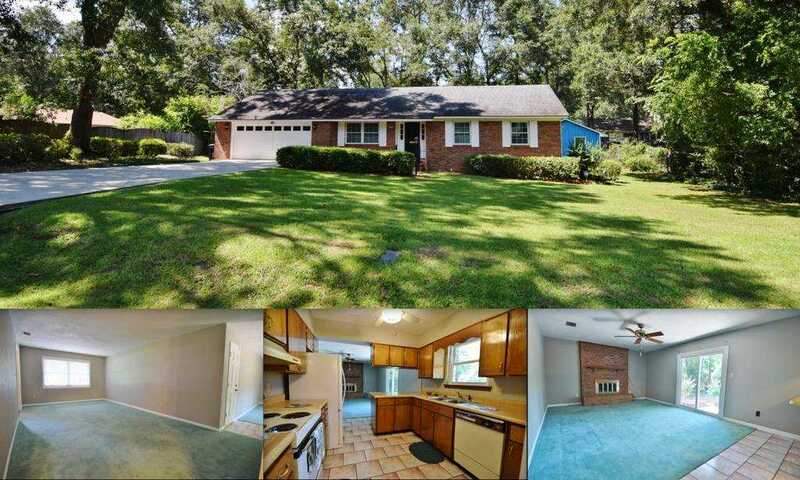 This well maintain home has new windows & blinds, a new refrigerator and fresh paint throughout. Enjoy new carpet in the master bedroom suite. The floor plan for this home is wonderful for a growing family. Enjoy a formal living room and dining room and a spacious family room w/ a wood burning fireplace. The family room opens to a galley kitchen w/ a breakfast bar and overlooks a large back yard w/ a wonderful workshop. So much potential here. Schools are Desoto Trail; Montford and Chiles. SchoolsClick map icons below to view information for schools near 3202 Apollo Trail Tallahassee, FL 32309. Listing provided courtesy of Coldwell Banker Hartung & Nobl. The data relating to real estate for sale on this web site comes in part from the Internet Data Exchange Program. Real estate listings held by IDX Brokerage firms other than Joe Manausa Real Estate are marked with the Internet Data Exchange logo or the Internet Data Exchange thumbnail logo and detailed information about them includes the name of the listing IDX Brokers. This information is provided exclusively for personal, non-commercial use and may not be used for any purpose other than to identify prospective properties consumers may be interested in purchasing.